Set in an iconic Bauhaus building on Tel Aviv’s seafront, the Gordon Hotel embraces the Bauhaus movement and fused this design movement with twenty-first technologies and luxuries to create a highly coveted and prestigious hotel. 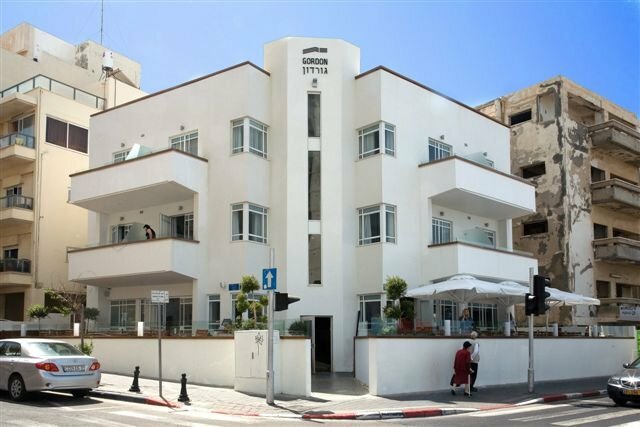 The Gordon Hotel is themed around the Bauhaus architectural movement which inspired the architecture of its building, and so much of Tel Aviv which has come to be known as the White City as a result. In renovating the building, the hotel has restored the beautiful iconic features that so symbolize this iconic style, and fused this with a lush palette of calm, bright colors and shades. The Gordon Hotel has twelve guest suites, many of which have sea views and balconies opening up onto the fresh sea breeze. Each room features hi-tech lighting, blinds, and climate control, allowing you to control the ambiance of your room from bed and open up the view in the morning. All rooms also feature flat screen tvs, free wifi, and a complementary bottle of champagne. 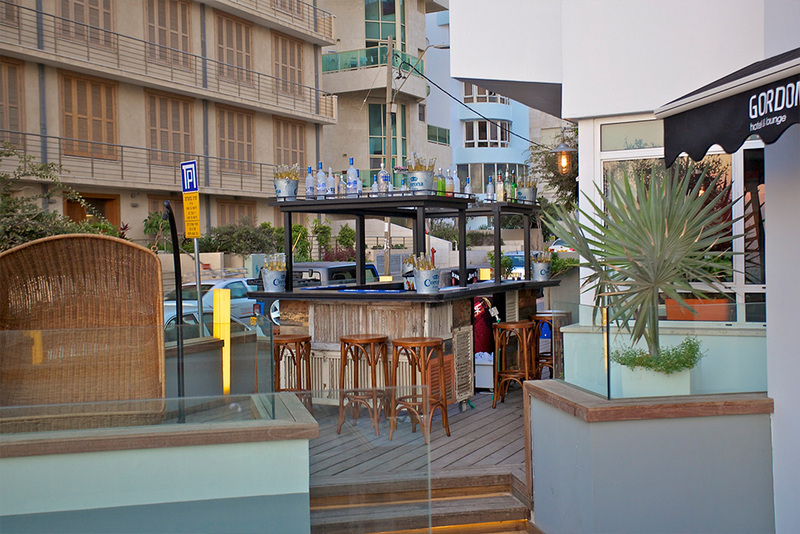 The Gordon Hotel features an open rooftop lounge, the ideal place to watch the sunset and enjoy the ocean breeze. The guest lounge provides complimentary coffee and drinks, whilst the SALT Kitchen restaurant on the ground floor is the perfect place to enjoy breakfast, or the full Mediterranean inspired menu. 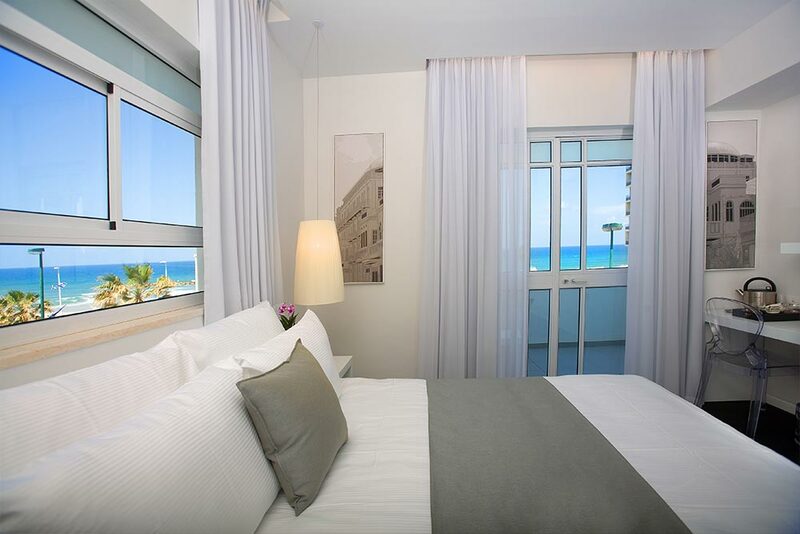 Situated on the corner of Gordon Street and Hayarkon, the Gordon Hotel is set in the perfect location for a Tel Aviv boutique hotel if the sea is important to you. 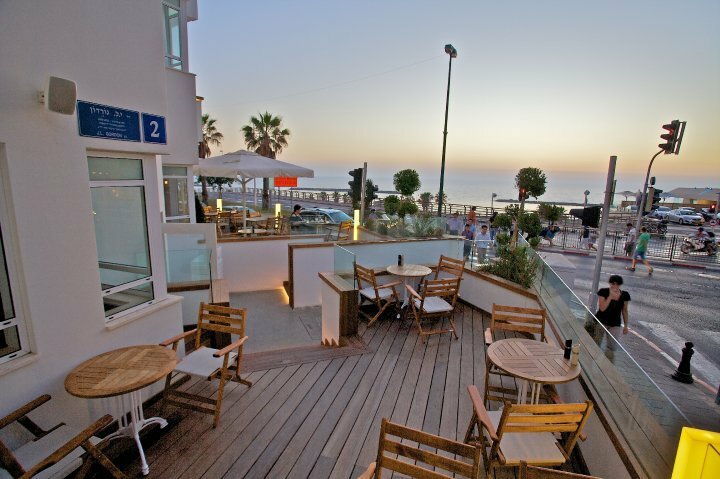 Just a minute or two and you’ll be on the beach, yet you are within comfortable walking distance of the major sites of Tel Aviv including the bustling Rothschild Boulevard area. 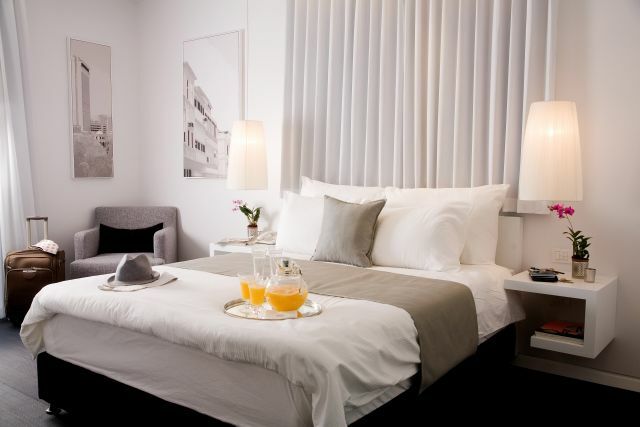 Only the finest boutique hotels in Tel Aviv. There's such a great choice, that sometimes deciding can be hard. If you're struggling, contact us and we'll make suggestions.